Since you are here, the chances are that you have already entered the mobile app development world. Secondly, you now have two options – Either Develop an App from the Scratch, aka Custom App Development or Use a Readymade Platform aka White Label Apps Development. The idea of a ready to use and deploy framework, while sounds enticing and easy on pocket, it doesn’t come sans issues. And more often than not, the issues that come attached with White Label Solutions are too big to ignore. In this article, we will be looking into the concept of What Label Apps and validate how they are not as business friendly as they seem. White Label App, in its most general sense is an app that is developed by Company A and then sold to Company B, C, and D to add on their branding elements and use. The idea of White Label Mobile Apps Development is to have a product that can be used as is by multiple companies with very minimal level of customization flexibility. White Label Solution Mobile Apps are an element of fashion among the Startups who are looking for a shortcut to enter the Mobile domain at a minimum cost of investment. There are two ways a White Label Mobile App can be developed – 1. Where you reuse the backend code but alter the frontend code to make it look different and 2. Where an app is developed with a fixed set of features and sold to A,B, and C company with the freedom to add or edit features. This is mostly used by companies which have a Software-as-a-Service model. 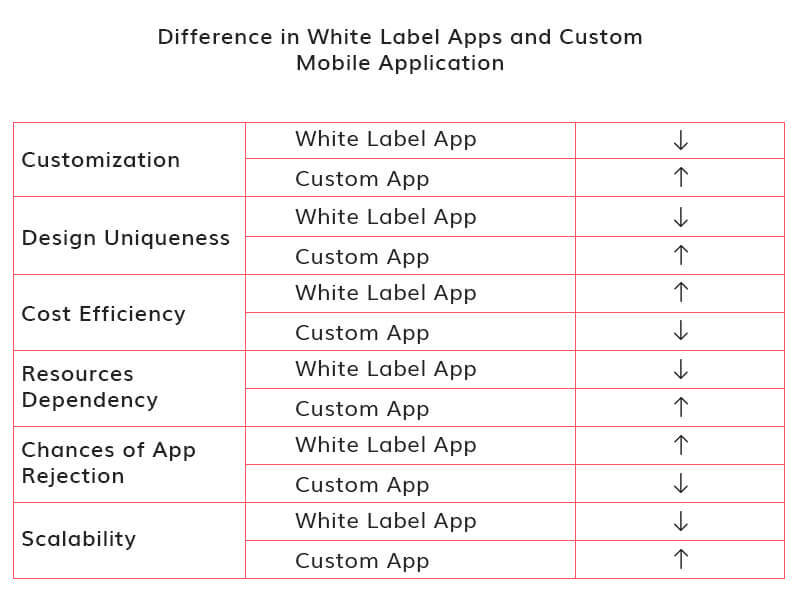 Lets have a look on White Label Mobile Apps vs Custom App Development. There are a number of different factors that draw the demarcation line between a custom app and white label solution app. When you, as a business, invest in a white label solution app, you enter into it knowing that it was not specifically designed and developed for you. It was developed in accordance with features of a mobile app that is in the operating in the app stores. 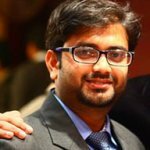 Since you are buying a readymade solution, the chances of you adding in elements that are a reflection of your brand is very minimal, unless you look into the best optimal mobile app development checklist, possible pitfalls and challenges to deal with, and other such factors as we covered in our mobile app development guide. On the other hand, when you invest in Custom App, the chances of getting an app that is developed exactly as per your requirement are much higher. Because you are getting an app developed from the scratch when you are investing in a custom app development, you get an app that has the set of features that you wanted represented as you wanted. The number one reason behind Apple rejecting White Label solution was that the apps coming in from one vendor looked the same. There was hardly any difference in terms of design and flow, except that of 20% brand elements. Absence of the freedom of having own design is the number one element that White Label Solution lacks in, which is also the major cause of store rejections. With White Label, you always have to compromise with the design that the vendor has set for you, with less to no sign of your individual idea. Since you are buying a ready made solution, the one that is not made specifically for you, the cost of White Label Solution mobile app is much less than Custom App development. Also, since the development efforts are also on the per suite of project basis instead of per project, you even get to save some cost on the resources front. When you invest in a White Label Solution for Mobile App, you invest in an app that has been made for a specific platform or device. When you decide to take the app further to another device or some other OS version, you will either have to wait for the vendor to make it scalable or you will have to get in touch with some mobile app development company to develop an app similar to the white label solution for your preferred list of devices or operating system versions. At Appinventiv, we focus our Mobile App Development Services suite on Custom App Development. We believe in developing apps from the scratch. Straight from ideation to deployment, everything is done by us after understanding the exact business requirement that varies from project to project. market, and less maintenance efforts. But we place app quality and brand voice on a greater pedestal, which makes us choose Custom App Development as our suite of service. Even when your app belongs to the same category as that of hundreds of the other similar apps in the stores, what makes yours different from the rest is the fact that your app is a reflection of your idea. Something that reflects even when you offer the same set of features as the other apps in the domain. When you invest in a white label solution, you lose out the chance to have an app that is an extension of your brand. When the control of the app development process is in your hand from the scratch, you don’t have to rely on a vendor to make changes in the app design and framework. With custom app development, we give our clients the freedom to extend their app to other platforms or add and remove certain features according to what they think would best represent their idea. In the end, the biggest and most crucial advantage that you can get out of Custom App Development is that you get to decide the tech stack your mobile app would be based on. Knowing what tech stack to use is the recipe to a mobile app that is stable and scalable. In White Label Solutions, you don’t really have the freedom to make the choice of the mobile app technologies that would best suit your business agenda. Now that you have seen both sides, go with White Label Solution only when there is a massive cost crunch otherwise, choose Custom App Development for long term stability.